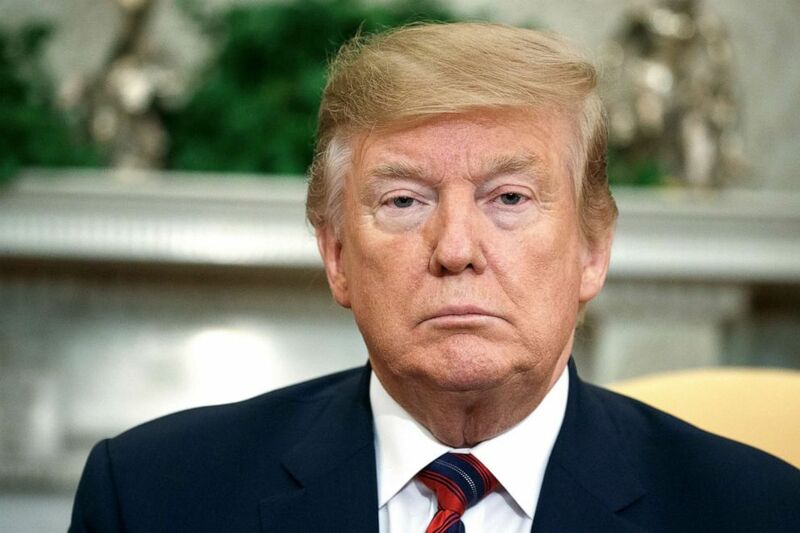 Trump’s comments came as congressional Democrats said Barr’s comments had “destroyed” his credibility just days before he’s expected to release a redacted version of special counsel Robert Mueller’s report on his investigation. (Evan Vucci/AP) President Donald Trump listens to South Korean President Moon Jae-in speak during a meeting in the Oval Office of the White House, Thursday, April 11, 2019, in Washington. “There was spying in my campaign, and his answer was a very accurate one,” Trump said. In an exchange with Democratic Sen. Jeanne Shaheen at a Senate Appropriations subcommitee hearing Wednesday, Barr said he wanted to assemble a team to investigate the actions surrounding the genesis of the counterintelligence investigation that led to special counsel Robert Mueller’s probe into whether the Trump campaign colluded with Russia and other matters. (J. Scott Applewhite/AP) Senate Minority Leader Chuck Schumer joined at right by Sen. Amy Klobuchar speaks to reporters at the Capitol in Washington, Tuesday, April 9, 2019. Barr’s statement on spying has fueled Democrats’ suspicions that the attorney general has political motivations to do Trump’s bidding. “Yesterday’s performance calls into complete quest the objectivity and even the judgment of the Attorney General. He does not seem to be an independent actor pursuing the rule of law. He seems somebody willing to help the president no matter what the cost,” Senate Minority Leader Chuck Schumer, D-N.Y., said during a floor speech Thursday. A frustrated Schumer later told reporters that Barr’s words “have just destroyed what little, the scintilla of credibility he had left.” Barr has concluded, based, he said, on Mueller’s report, that Trump did not commit obstruction of justice. 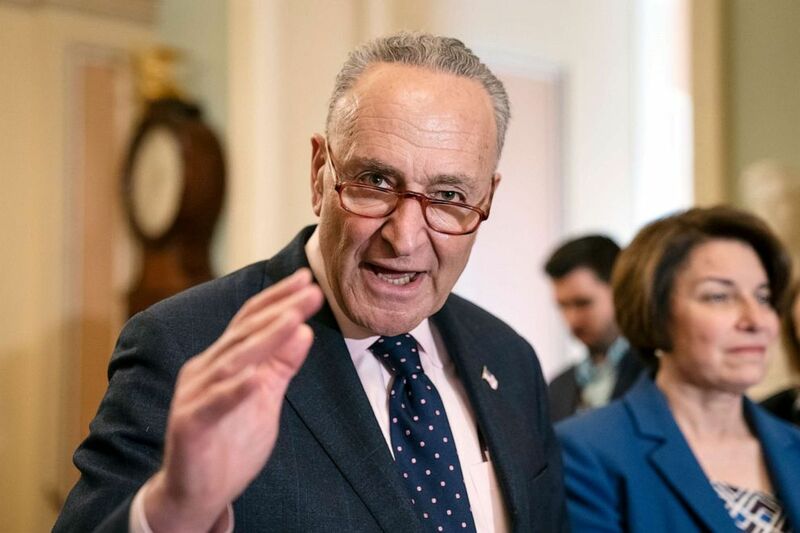 Schumer expressed doubt in Barr’s ability to be “fair and dispassionate” when making redactions in the Mueller report, which is expected to be released by the Department of Justice within days. In the wake of Barr’s testimony, in an effort to ensure they receive a full, unredacted copy of the report, top Senate and House Democrats sent a letter to Barr Thursday, arguing the Justice Department is obligated to hand over the full report and underlying evidence and materials, as was done during the Watergate and Starr investigations. The letter also criticizes the assertion of spying on Trump’s campaign. “Your testimony raises questions about your independence, appears to perpetuate a partisan narrative designed to undermine the work of the Special Counsel, and serves to legitimize President Trump’s dangerous attacks on the Department of Justice and the FBI,” the letter said. House Speaker Nancy Pelosi also took an opportunity to criticize Barr as House Democrats kicked off a three-day policy retreat in Virginia. But Republicans on Capitol Hill say they trust Barr to do the right thing. “He’s an honorable man. He’s not over there trying to cover anything up. He’s going to send us the Mueller report that is as open as possible,” Senate Majority Leader Mitch McConnell, R.-Ky., said on Fox News Wednesday. ABC’s Jordyn Phelps and Trish Turner contributed to this report.